Essentially what happens is that a low pressure system, more commonly known as a winter storm, drops at least one millibar, or unit of atmospheric pressure, each hour for 24 hours. 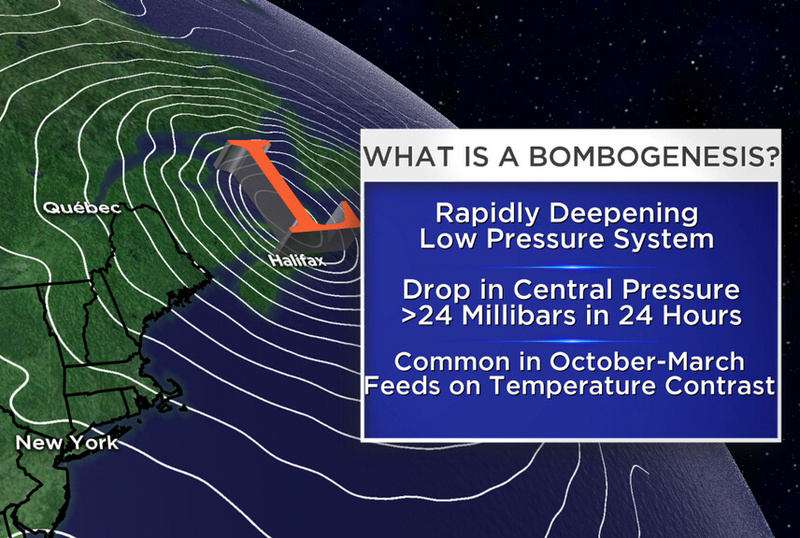 This is where the “bomb” in “bomb cyclone” comes from — the rapid drop in pressure is comparable to the pressure change you would see in an actual bomb. This rapid pressurization of the atmosphere can cause a variety of intense storm-like side effects like extreme drops in temperature, winds reaching 100 mph, and damaging floods. These side effects are similar to what you’d see in a hurricane except with below freezing temperatures and snow rather than rain. With storms as powerful and destructive as these, it’s important to know how they can affect your home. In the next section, you’ll learn about the potential damage bomb cyclones can do to your home. Bomb cyclones can do a number on your home because of how intense they are and how quickly they can develop. Unfortunately, they don’t leave homeowners much time to prepare for some of the most common property problems caused by these types of storms, which happen to be water damage, pipe bursts, and sewage problems. However, if you get ahead of the storm by prepping your home properly for freezing temperatures and oncoming intense weather, you can prevent a lot or even all of the potential damage. Water damage from a bomb cyclone can come in several different forms. One of the most common forms of water damage from winter storms comes from ice dam formations. When ice dams form they can cause water to leak into different parts of your home, causing water damage, mold growth and damage to attic condensation. In addition to the problems that can occur inside of your home as a result of leaks and water damage, there are also outdoor concerns to deal with. 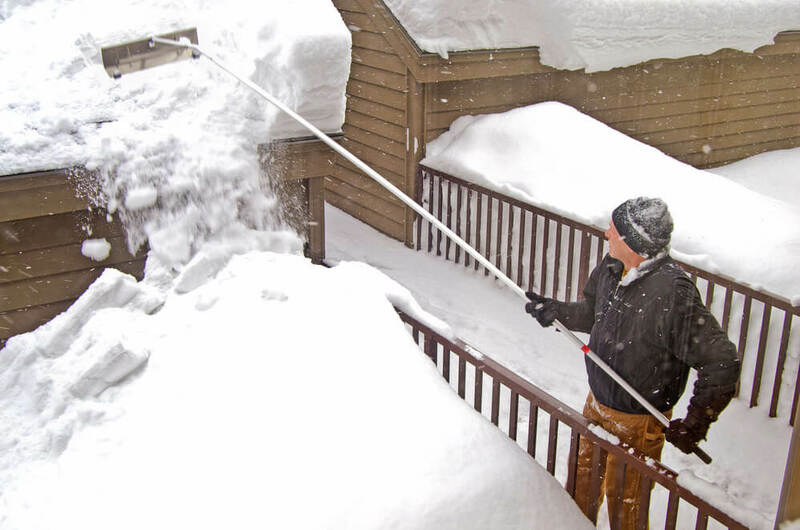 For example, your roof gutters can become damaged as a result of thick snow and ice dams. If the icicles from the ice dams become too heavy they can pull the gutters down, breaking them in the process and possibly injuring someone. Pipe bursts can happen during big winter storms like bomb cyclones because with extreme winter weather often comes freezing temperatures. 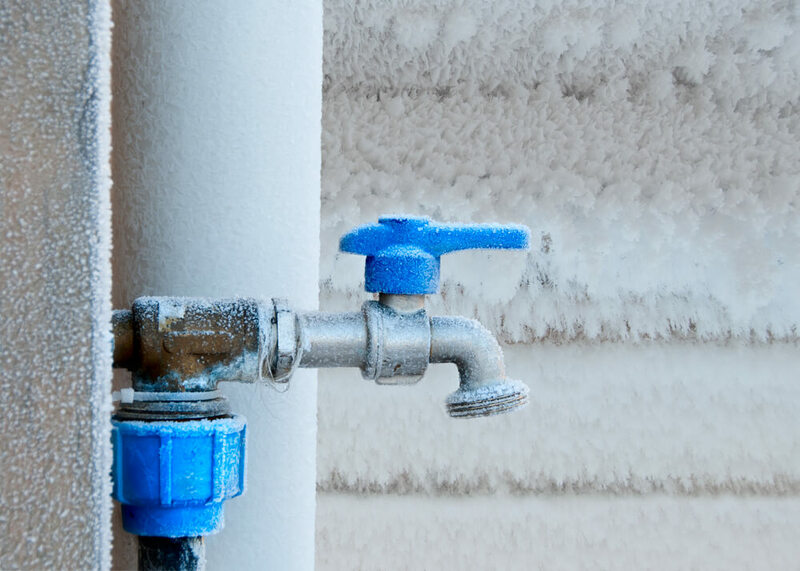 Freezing temperatures can cause water in metal pipes both inside and outside of your home to become extremely cold, leading to frozen water that starts to expand. Eventually, this freezing water and pressure from this expansion will become too much for the metal pipe and it will eventually burst, leading to flooding and the need for water damage restoration. 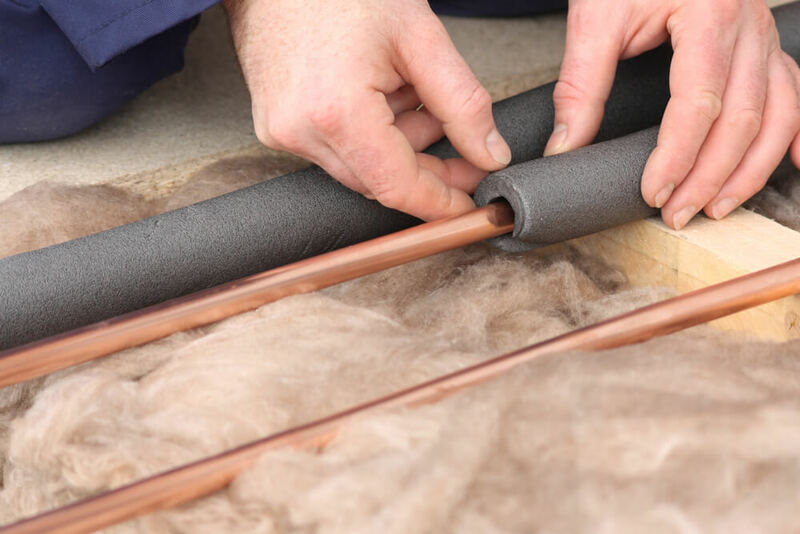 Leaving your pipes on a slow drip and insulating your pipes are two ways to prevent this. 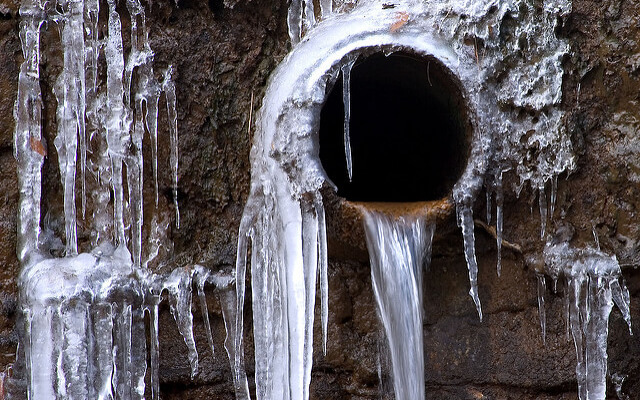 Going off of the point above, pipe problems caused by winter storms and freezing weather can even cause problems with your sewage system. Your home’s plumbing system relies on running water and the pipes that carry it. If one or both of these things fail, you can expect problems to occur with your sewage system. One such problem is a frozen septic tank. If your septic system freezes, it can cause lasting issues for both the septic system itself and your pipe system so it’s definitely a problem you and your family want to try to avoid if possible. It’s important for homeowners and business owners alike to adequately prepare for a bomb cyclone storm. 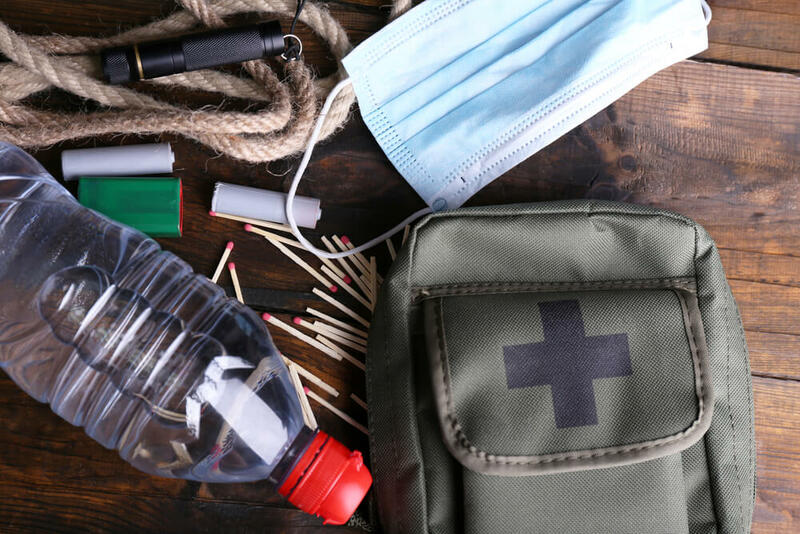 The issues mentioned above, and many more problems that could happen as a result of such an intense storm, can be minimized or even prevented entirely if you prepare correctly. In this section, you’ll learn more about how to prepare your home, vehicles, and family for a bomb cyclone. When it comes to winter storm preparedness, it’s important to strategize how you’re going to prepare your home for a bomb cyclone storm. Start by prepping your pipes, which luckily is fairly easy. You can insulate them but in a pinch, like right before a bomb cyclone rolls in, old newspaper can also do the trick. Wrap your pipes with old newspaper and secure them with twist-ties or string. This won’t be a long-term solution but it’ll be a lot better than leaving your pipes completely exposed. You can also prevent your pipes from freezing by keeping the water in the pipes moving. This isn’t to say that you should keep all of your faucets on full blast during the storm. However, letting one faucet drip throughout the day & night can keep the water moving just enough that it’ll prevent freezing. The most important thing during a storm you should prepare is your family. Before the storm hits, stock up warm clothes and blankets to keep everyone warm in case you lose power in your home. You’ll also want to stock up on non-perishable food items that don’t need to be refrigerated like peanut butter, crackers, bread, nuts, and canned goods. Canned meats are a good source of energy but you’ll want to double check that the meats are pre-cooked. Having raw canned meat won’t help you. Bottled water and sports drinks are also a must for storm preparation. In the event that your pipes become frozen and you cannot get water from the faucet, you’ll want to have an alternative source of drinking water. Sports drinks are good for replenishing electrolytes lost while trying to keep warm. If you or any of your family members require daily medications, be sure to stock up on them. Make sure you have enough medication to last you as long as a week. While most storms don’t keep people holed up for that long, it’s better to be safe than sorry. The last thing you’ll want to do to prep your family is to stock up on electronic items like batteries, flashlights, and mobile phone charging ports. If you lose power, you won’t be able to charge your phone and a dead phone can’t call for help if you need it. You can find charging ports for cell phones that only require batteries at most electronic stories. The best way to prepare your car for a bomb cyclone is by not driving in it at all. Sure, there’s always a chance that your car could be damaged by a falling tree while it’s sitting still. But if you go out and drive in intense weather conditions, you drastically increase your chances of damaging your vehicle or even worse, injuring yourself or others. 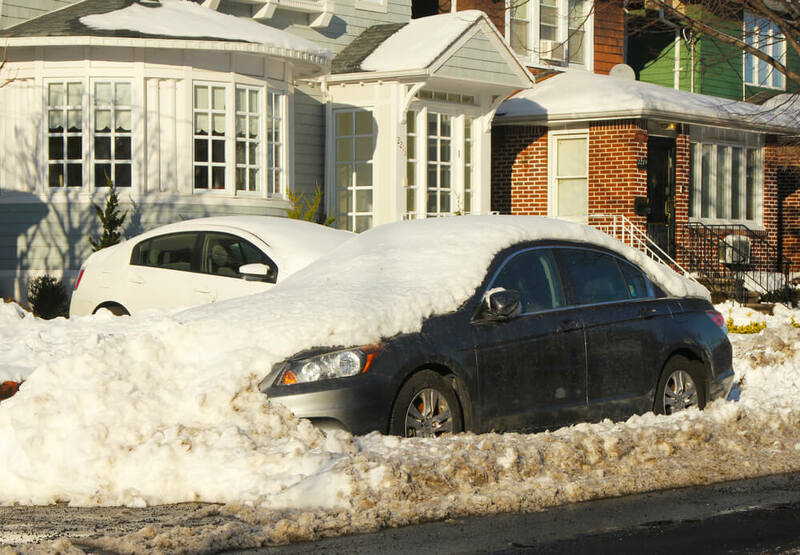 After you’ve made the smart decision not to drive in a bomb cyclone storm, the next thing you’ll want to do to prepare your car is park it in the safest area possible. If you have access to a garage or even an awning, you should park it under those to fully protect it from any snowfall, hail, or wind damage. If you don’t have access to a garage, park you car away from building ledges, trees, and anything else that could potentially blow over and fall on your vehicle. Remember, heavy snow can slide off of ledges and damage your vehicle while trees & other heavy objects can blow over and do even worse damage. Once you have your vehicle parked in the safest area possible, make sure that your parking break is set and vehicle locked. It also might not be a bad idea to lift your windshield wipers or take them off entirely. You can always reattach them when the storm has passed. Stay Safe During the Next Bomb Cyclone! While bomb cyclones are much more intense that other winter storms, the preparation needed is the same as with other types of storms — do what you can to stay safe. So, after reading this guide to bomb cyclones, we at 911 Restoration hope you’re feeling more confident about the rest of bomb cyclone season. However, if you find yourself in the aftermath of the next bomb cyclone and you have water damage, ice dams, or sewage problems to deal with, you can count on us to be there for you! We offer a variety of helpful residential restoration services for storm damage. Visit our website to learn more about how we can help or feel free to give us a call at (877) 488-7988 anytime, rain, snow, or shine!